After whittling down thousands of entrants, via a regional tour and a public vote, nine entrepreneurs where invited to compete across three categories. In the Grow category it was Anthony Eskinazi of JustPark who came out on top, while Kiryl Chykeyuk of kino-Mo received the backing of the judges in the Startup category and in the New Things section it was Jeff Paterson of Fourex who finished victorious. The final, which was streamed live on virgin.com, saw nine businesses pitch their ideas to an expert panel of entrepreneurs, investors and industry experts. 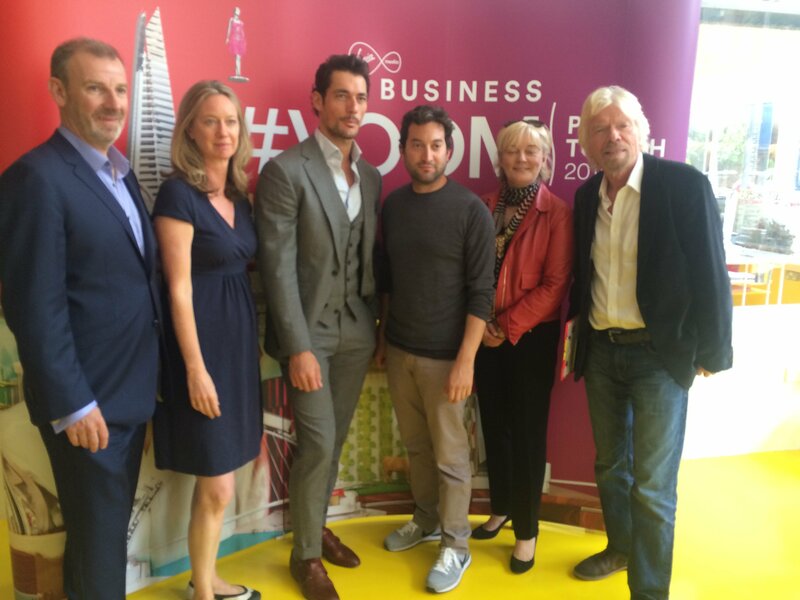 On hosting duties was TV presenter Rick Edwards, while joining Richard Branson on the judging panel were Peter Kelly (Virgin Media Business, Managing Director), Jo Malone (entrepreneur), David Gandy (model and investor), Jon Oringer (Shutterstock, Founder), Justine Roberts (Mumsnet, Founder). Over 685,000 votes were cast in order to select the nine entrepreneurs to compete in the final, underlining the strength of feeling for small businesses across the United Kingdom. There are 5.2 million businesses in the UK, a figure which has doubled since the year 2000. "We took a long time to come to a decision after witnessing the pitches," confessed the Virgin Group founder. "There was a lot of disagreement as all nine of these businesses are so strong. In the end it came down to deciding whether we wanted to give the backing to the best ideas or the businesses that we though could really succeed." So what do all of today’s finalists walk away with? As well as this, all of today's winners will get up to £150,000 worth of telecoms from Virgin Media Business, unlimited travel on Virgin Trains for one year, six months of free electricity from Npower Business, use of the ICAEW business advice service and of course mentoring and business opportunities from the Virgin Group. To find out more about this year's competition, head across to the Virgin Media Business website.